Bay of Palms Resort is your 'home by the water'. The cosy and tastefully designed Elanora accommodation is a stroll away from Palm Beach, one of the Australia's most desired beach holiday destinations. With its Lakefront Water Views, you can take advantage of everything that Bay of Palms has to offer. 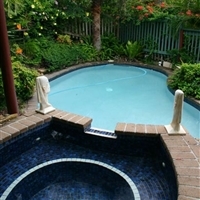 Here in the South Gold Coast Accommodation, we take pride in the friendly atmosphere and we will endeavor to make your Gold Coast holiday a very memorable and pleasurable one. You can spend hours in our Currumbin family accommodation just lazing around our sparkling swimming pools or in our spa, or simply laying by the lake enjoying the view. Get together with friends in the licensed bar or at our barbecue area. The Pines Shopping Centre, one of the Gold Coast's leading shopping centres is also only a stone's throw away from our affordable relaxing Gold Coast accommodation. The gracious and fun-loving Bay of Palms staff invites you to have a holiday of sheer relaxation and enjoyment with us. We look forward to sharing the idyllic beauty of Elanora and the Gold Coast with you soon! Enjoy a magical location fronting world-class surf breaks, exotic design, great beats and a friendly community spirited atmosphere. Komune is dedicated to connecting adventurous, fun-loving, environmentally conscious travelers who share a passion for surf and beach culture. Komune provides a variety of stylish accommodation to suit all budgets, from share accommodation through to apartments and luxury penthouses. NOTE: KOMUNE BEACH CLUB IS A LICENSED VENUE OPERATING FRIDAY TO SUNDAY UNTIL MIDNIGHT PLUS SPECIAL EVENTS SUCH AS BOXING DAY, NYE AND NYD AND MAY BE NOISY. *************** PLEASE CLICK ON THE IMAGES ABOVE TO EXPAND *************** Curtis Falls Mountain Spa Retreat is a small and intimate Mountain hideaway that offers retreat from the busy lifestyle of today and is perfect for a romantic weekend getaway. A therapeutic escape of simply a great base from which to explore the beauty of the Tamborine Mountain area with its myriad of delights, both natural and man made. Discover the Tamborine Mountain Winery's and Distillery, view the glow worms, go Horse-riding, Golf, Fishing or simply stay at Curtis Falls Mountain Spa Retreat and indulge in our Therapeutic Spa, possibly a massage, beauty pampering or just relax. Welcome to Hillside Country Retreat, the perfect bed and breakfast accommodation for all occasions. 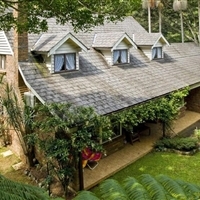 Our self contained accommodation and cottages provide an intimate experience of the Gold Coast’s Hinterland, ideal for a romantic getaway, honeymoons or for families looking to enjoy a relaxing break. Only 25 minutes from Surfers Paradise and 20 minutes to major Gold Coast theme parks, Dreamworld, Seaworld, Movieworld and Wet 'n' Wild, Hillside is a great alternative to accomodation for your Gold Coast holiday. Offering a garden and barbecue, Solaire Apartments is set in Gold Coast, 3.2 km from Marina Mirage Shopping Centre. Australia Fair Shopping Centre is 3.3 km away. Free WiFi is provided throughout the property. Some units include a dining area and/or balcony. There is also a kitchen, fitted with a dishwasher, oven and microwave. A toaster, a refrigerator and stovetop are also offered, as well as a kettle. Every unit comes with a private bathroom with a bath. Free private parking is available at the apartment. Solaire Apartments also includes a sauna and fitness centre. Gold Coast Convention and Exhibition Centre is 3.4 km from Solaire Apartments. Gold Coast Airport is 21 km from the property. For work, play, or perhaps a little of both, we invite you to experience our uncompromising hospitality and outstanding personal attention that can be yours at Palm Beach holiday accommodation - Regency On The Beach. These surprisingly affordable apartments Palm Beach, Regency On the Beach offer their guests free parking in our secure underground carpark. In these unforgettable beachfront apartments Palm Beach you can indulge in the resorts’ first-class amenities, enjoy a relaxing swim in our heated swimming pool. Pamper yourself in our spa and sauna. We are close to the surf life saving club and with patrolled beaches on our doorstep, we offer a haven for relaxation and enjoyment for the whole family. Enjoy a sumptuous dinner that you can cook at the rooftop or beach side BBQ's, all whilst soaking up the views! You also have easy access to all of the Gold Coasts' attractions including first class shopping centres:The Pines Shopping Centre, Robina Town Centre and Pacific Fair. Try your luck at Jupiters Casino! Don't forget the themes parks- for a memorable day of laughter, fun, thrills and spills visit Seaworld, Movie World, Wet n Wild and Dreamworld. With a prime location overlooking world famous Kirra Beach on the Southern Gold Coast, Meridian Tower is the ideal base for an unforgettable beachside break. Our spacious, bright and comfortable self-contained Coolangatta holiday apartments come with fully equipped kitchens, large sunny north-facing balconies with fresh breezes and spectacular ocean views. 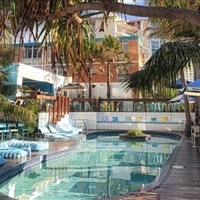 Unwind in our heated pool and spa, enjoy a game of tennis on the full size court or go for a stroll along the beach and explore the local cafes, shops and restaurants close to our Coolangatta beach accommodation. Renowned local surf spots Snapper Rocks, Kirra and Duranbah are right at your fingertips; while the World Heritage listed rainforests of the hinterland are just a short drive away. 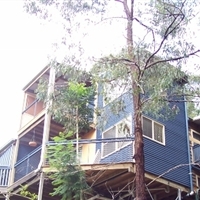 Here you will find the perfect Tamborine Mountain B & B with five beautifully themed and decorated spa suites,all with their own private balconies where one can enjoy the great mountaintop views of perfect sunsets to the west and magical misty mornings from the west,east and north and when the mist subsides you will see a beautiful clear day on Tamborine Mountain with fantastic views all the way to the Brisbane skyline and it is even possible to see the Glasshouse Mountains on the Sunshine Coast in the distant sky. Diamond Sands Resort at Mermaid Beach on the Gold Coast is just meters from patrolled surf beaches. Our low rise accommodation offers guests self contained one, two and three bedroom apartments, set in a lush tropical landscaped garden featuring a lagoon pool with sandy beach (heated from April to October), water spa and water features. The perfect location for family holidays! Relax in our shady pavilion overlooking the lagoon and unwind in the lush tropical landscape where a host of recreation and resort facilities await you. Shops and restaurants, Jupiters Casino and Pacific Fair shopping centre are only moments away. Broadbeach Beachfront Apartments Oceana on Broadbeach is absolute beachfront accommodation in a quiet, peaceful area, just minutes from central Broadbeach and the heart of Surfers Paradise. Fully Self Contained Apartments Noted for its tasteful furnishings, Oceana on Broadbeach offers, 1 2 and 3 bedroom air conditioned apartments, plus 3 and 4 bedroom sub penthouses, all with large balconies with glass sliding doors and fully equipped kitchens. En suite bathrooms, walk-in robes and private laundry are all standard features of this premier Gold Coast accommodation. Now all rooms are provided Free fast WIFI.